Every dirtbag has a love-hate relationship with ramen. We’ve all suffered short stints of poverty and lived off of the $3 12 packs. But if you’re spending day after day on the road or trail, you can’t keep having the same meal forever. You need to change things up once in awhile. So what’s a wandering bum to do? We got you covered. Here are 5 ways you can change up a backpacker classic! Thai curry ramen as captured in the wild. Greg Kempers. Saute the diced carrots in oil until they’re soft—a few minutes should do. 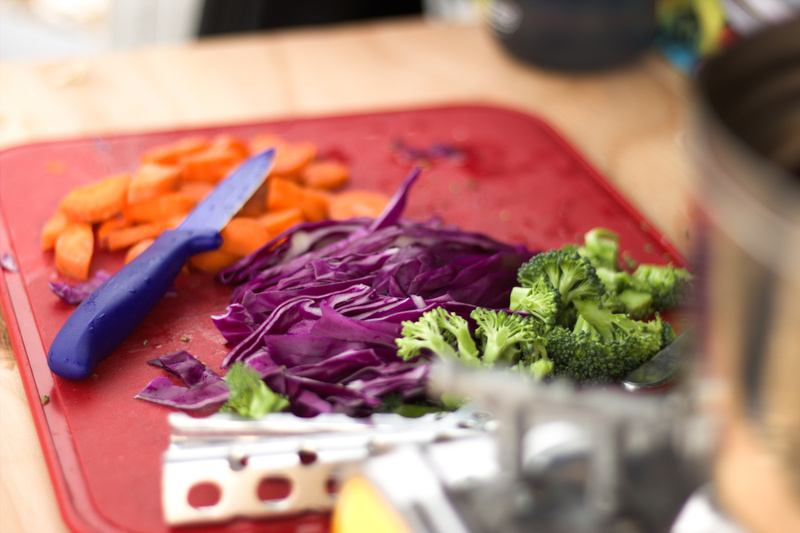 Throw the red cabbage in and saute for another few minutes. Add the coconut milk and curry paste and bring to a simmer. Take off the heat, strain the noodles, and toss to serve. 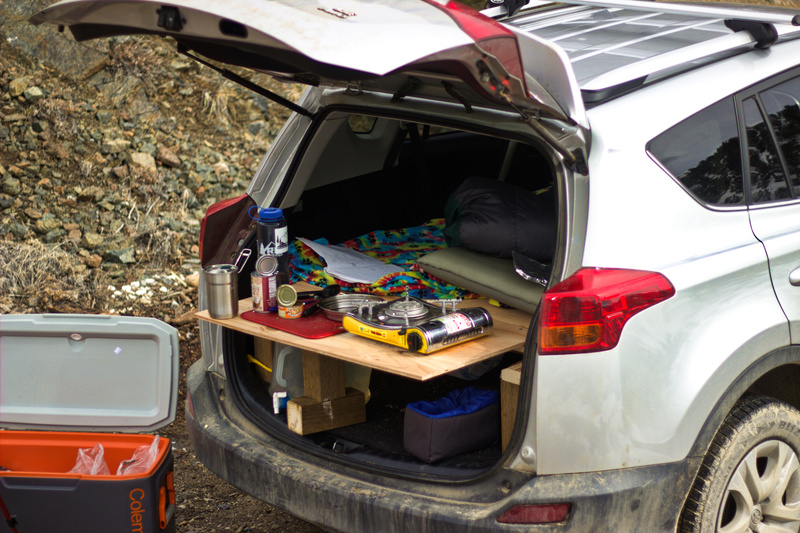 A lavish and complete kitchen for the discerning backcountry cook. Greg Kempers. Brown meat in a pot. When the meat is mostly cooked, remove and reserve the leftover fat. Saute the mushrooms and onions in the fat until they’re fully cooked, a good 5 minutes. Add the meat back in with the sour cream, Worcestershire, and thyme. Strain the ramen and add. Mix and enjoy! 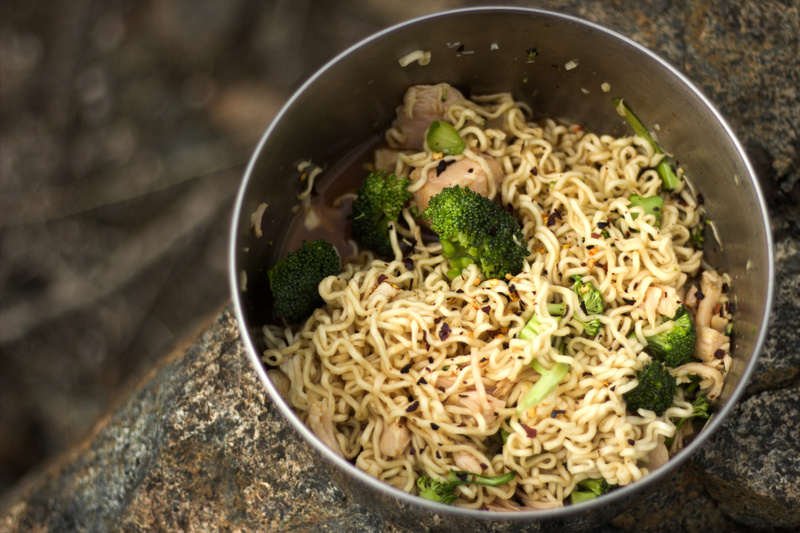 Sweet and sour chicken is a delicious variation to classic ramen in the backcountry. Greg Kempers. In a pot, combine water, vinegar, soy sauce, sugar, chili, and pepper. Bring to a simmer and remove from heat. Strain ramen and combine everything. Wait a minute for the chicken to heat up from the sauce and noodles. Enjoy! 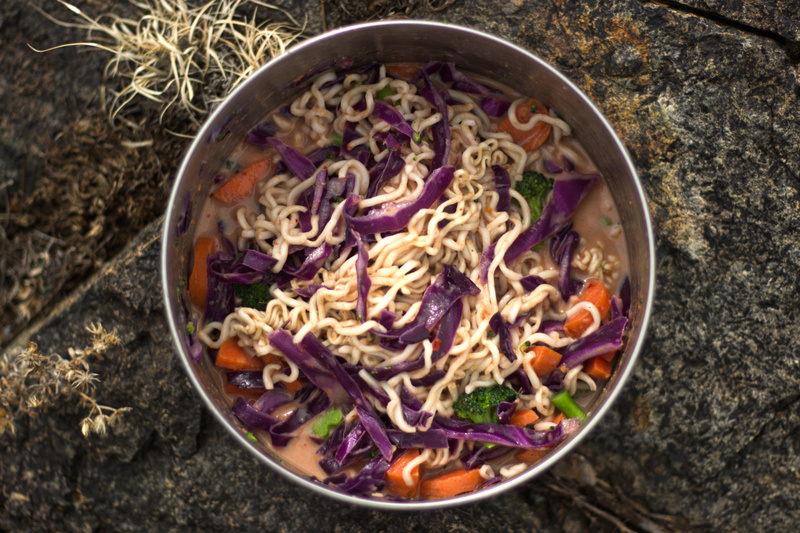 It's easy to shake up your backcountry kitchen with fresh ingredients in the right amounts. Greg Kempers. In a pot, melt the butter over low heat. Add flour and mix for a few seconds until it forms a paste. Add milk and bring to a simmer, not a boil. Throw the cheese in and stir till saucy. Add in whatever other fixings you want along with the cooked ramen. Stir and enjoy. In a bowl, whisk together the peanut butter, soy sauce, and vinegar with a fork. It will start out clumpy and look unappetizing, but keep stirring. Once it’s smooth, mix in with the ramen and whatever fixings you decided to throw in.